Continuing the exploration of the artistic scene in the MENASA region, Where’s Art proposes a series of interviews with a selection of participating galleries in this year’s edition of the Beirut Art Fair that will take place from 17 to 20 September 2015. Where’s Art’s cycle of conversations continues with art dealer Mark Hachem about the specificities and guidelines of his New York, Paris and Beirut-based commercial gallery space. How would you describe the contemporary art scene in Beirut? And why your decision to establish a gallery’s branch in the city? This is an emerging art scene that mirrors a highly dynamic cultural context. Both politics and religion are relevant topics that in a way give strength to the artistic production of the Mena region. Considering the growing interest of Western people in this art, I believe it is a safe investment for the future. New York dedicated a major exhibition to Lebanese art in 2014 including big names such as Chaouki Chamoun, whose paintings break records at auctions, Helen El Khal, and young artist Charbel Samuel Aoun, whose work is showed in numerous museums and institutions worldwide. 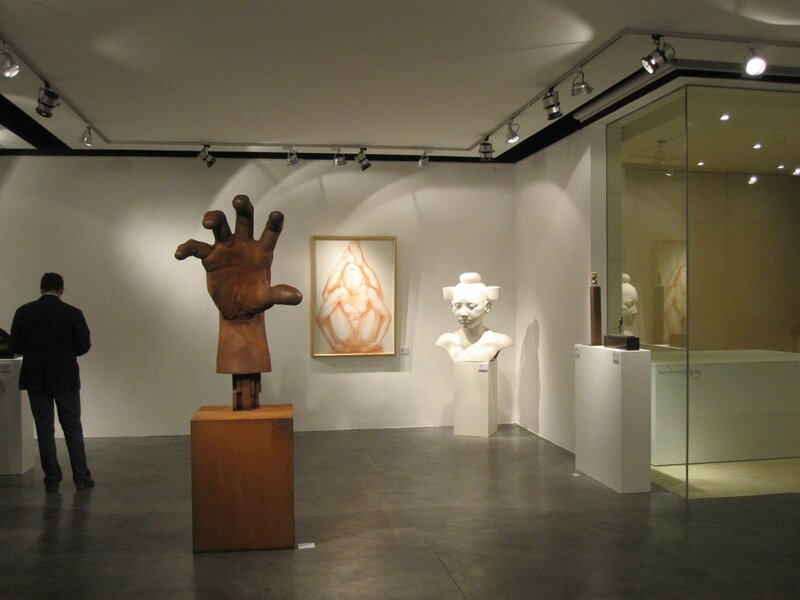 Since the opening of the gallery in Paris in 1996, the identity of the gallery has gradually forged around defined focus of interest. Firstly, the kinetic art that particularly fascinates me; I love artists such as Soto, Cruz-Diez, Perez-Flores and that I represent today alongside the Middle Eastern contemporary art. 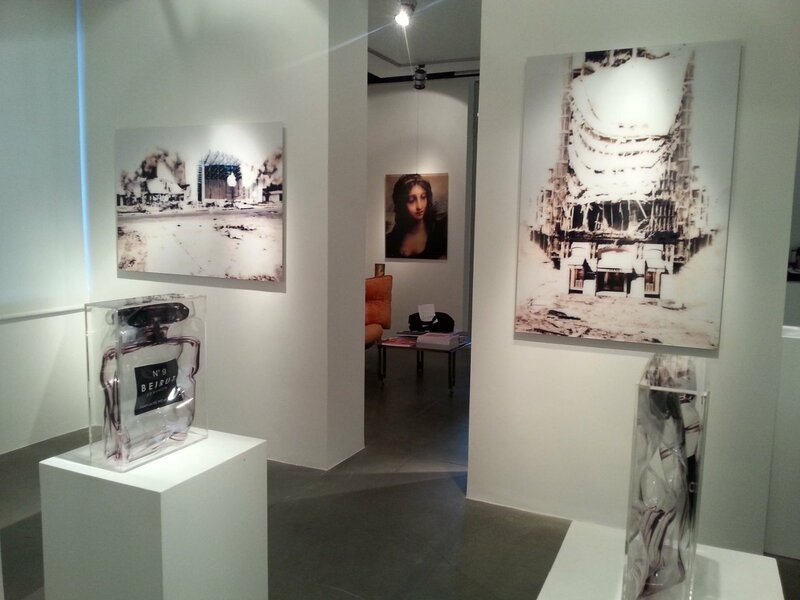 My bond to Lebanon and the opening of a new gallery branch in Beirut in 2010 that strengthened such tendency. The art of this region is fully developing and quickly growing, there is a historical phenomenon taking place. There is so much talent to be discovered and to export to the Western world. Where do your gallerys’ art collectors come from? Our gallery’s collectors come from all over the world as in recent years we are working a lot on the international scene, by participating in a number of art fairs (around 10 per year). Collectors usually attend all major fairs, it is not rare that I meet them throughout the globe, in Istanbul in November, in Miami in December, and then in Singapore, London and Basel. 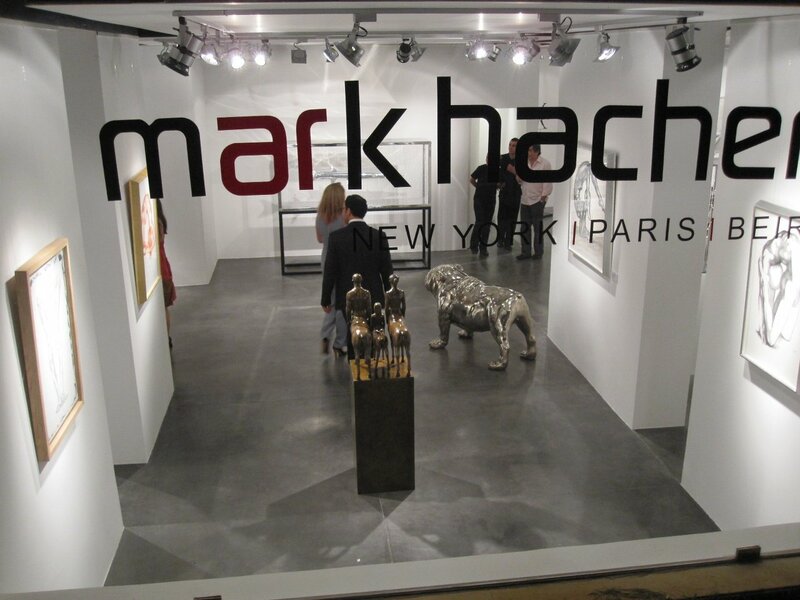 I have of course a special commitment to collectors who have been trusting me since the first steps of the gallery that now has premises in Paris, New York and Beirut. Can you describe what kind of contemporary art Beirut-based / Middle Eastern collectors are mainly interested in? The increasing number of fairs and the new investments in the opening of galleries and museums showing both local art and Western contemporary art, announce the expansion of a dominant market. The local presence of collectors is growing and the the market seems to be of a great interest of institutions, which are always looking for appealing cultural novelties. Regarding modern art since 2013, artists being collected are mostly Lebanese, Egyptian, Iranian and Turkish. Informed and art-conscious young collectors are developing an interest in the political and diplomatic aspects of contemporary art. These collectors, who were usually focused on international contemporary art, have turned their consideration to contemporary art from the Middle East. I was delighted by the enthusiasm of collectors around the series Revolt Perfume by Cairo-born artist Yves Hayat that I represent internationally. These works are part of collections worldwide and are among the favorite subjects of the art press. In the Middle Eastern art scene mainly dominated by the fairs in the UAE, what do you think is the peculiarity of the Beirut Art Fair? The Beirut Art Fair has become a primary source of information about artists, trends, galleries, thus contributing to the growing art scene in the region. Beirut is a pivotal platform for cultural exchange and the Beirut Art Fair is becoming a unique and deeply involved player in the representation of the emerging art scene in the region. This is why I highly recommend collectors to visit this fair. Can you explain which projects you are particularly interested in and why? And what will you be presenting at the Beirut Art Fair 2015? I think “Bridge to Palestine” is an exhibition that marked the spirits. The exhibition that the gallery presented last year at the Beirut Exhibition Center was the first Palestinian art exhibition in Lebanon since 1980s. The exhibition worked as a platform for artistic expression for those artists who had little the opportunity to make their voices heard. I felt that this event was useful, both from the artistic and educational standpoint. The synergy of the diverse artworks together helped deliver a poignant message and created a so rewarding experience that we organize a new collective exhibition with the same title “Bridge to Palestine” at the gallery during the Beirut Art Fair. What does the Beirut Art Fair offer in terms of viewing experience and what do you expect from this year’s edition? Since 2010, the selection of the BAF provides an overview of the artistic scene of the Middle East presented both by established and young galleries. 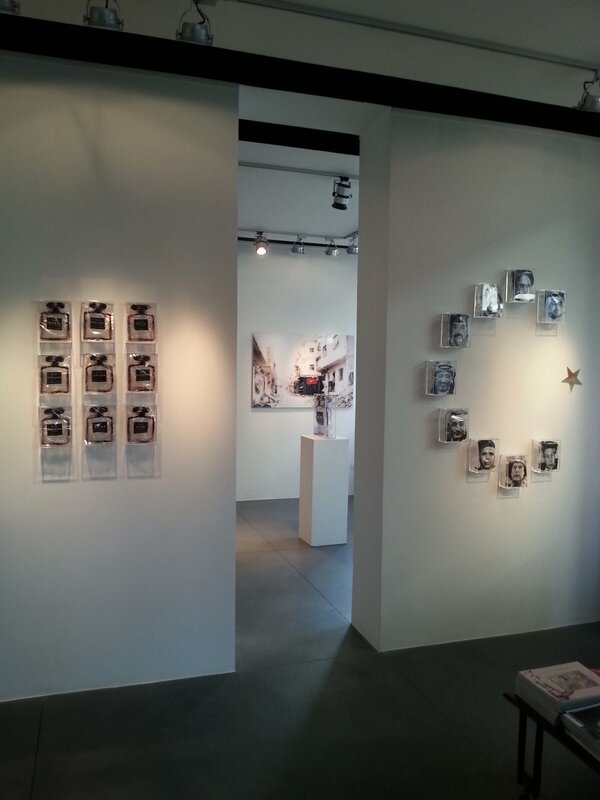 International galleries that stand out their original artistic direction are also presented. 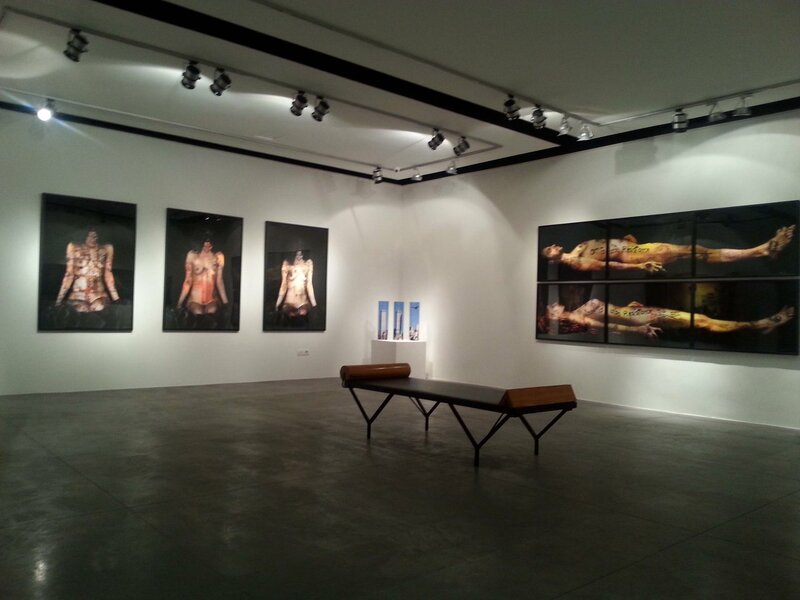 It includes a comprehensive selection of emerging artists of the art scene in the Mena region.